Android Studio previews and other tools announcements. Android Studio previews give you early access to new features in all aspects of the IDE, plus early versions of other tools such as the Android Emulator and platform SDK previews. 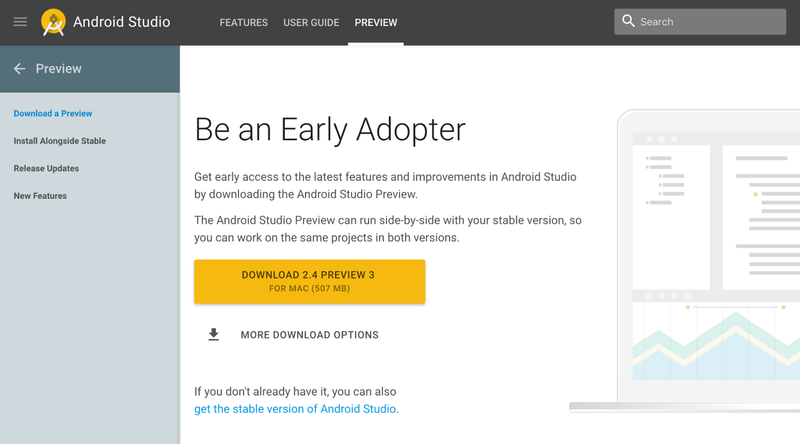 You can install multiple versions of Android Studio side-by-side, so if a bug in the preview build blocks your app development, you can keep working on the same project from the stable version. came out last week, and it includes new features to support development with the Android O Developer Preview. You can download and set up the O preview SDK from inside Android Studio, and then use Android O’s XML font resources and autosizing TextView in the Layout Editor. from you if you encounter any bugs.